Having diabetes increases a person’s chances of acquiring some form of heart disease. The risk of dying from a heart problem can be as high as 4 times that of a person without diabetes. 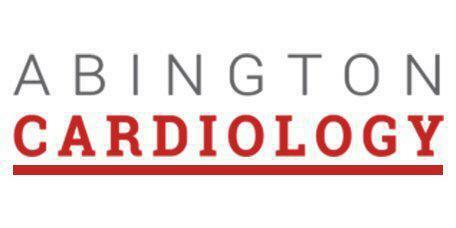 If you’re suffering from diabetes, checking in with Abington Cardiology in Jenkintown, Pennsylvania is a smart move, particularly as you get older. Prevention is preferable to treatment, so don’t wait for symptoms. Why do diabetics have such a high rate of cardiovascular disease (CVD)? Even when diabetes is under control, many with the disorder, particularly those with Type 2 diabetes, have conditions that also increase their risk for CVD. Obesity is a major factor in both Type 2 diabetes and CVD. Diabetics often have high blood pressure, another CVD risk factor. Some disorders associated with insulin resistance contribute to cholesterol conditions that include high levels of LDL (so-called “bad” cholesterol) and low levels of HDL (“good” cholesterol), another contributor to heart disease. If a patient’s diabetes contributes to a sedentary lifestyle with little exercise, risk of cardiovascular complications grows. How can a person address both CVD and diabetes? Do treatments interfere? Many of the strategies for controlling blood sugar are helpful at reducing both risks and symptoms of CVD. Heart-healthy diets are also diabetes-friendly. Diabetes patients should already monitor blood sugar, blood pressure and cholesterol, as well as taking steps to control each of these. While both diabetes and heart conditions benefit from low-salt diets, when the two conditions exist, cutting back additional sodium is necessary. Otherwise, removing saturated fats, adding lean protein, using healthy cooking methods and switching to low-fat dairy products helps both conditions. I’ve heard of diabetic heart disease. Is this different than other CVDs? Diabetic heart disease refers to CVDs that develop due to a patient’s diabetic condition. These generally include congestive heart failure, coronary heart disease and cardiomyopathy. Congestive heart failure occurs when the heart can’t supply the body with enough fresh blood. Fluid build-up in the body becomes an issue. Coronary heart disease features plaque accumulations in the coronary arteries, reducing blood flow and contributing to blood clots. Diabetic cardiomyopathy may result in damage to the heart. These, in turn, can result in arrhythmias and heart failure. Diabetic patients with no signs of other CVDs may develop diabetic cardiomyopathy.